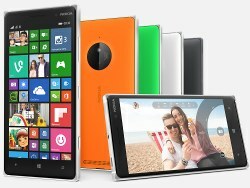 Nokia and Microsoft just took the wraps off their latest Windows Phone device - the Lumia 830. It runs the latest Windows Phone 8.1 with the latest Lumia Denim update that bumps up the camera performance speed, among other things. The Lumia 830 offers Nokia and Microsoft's thinnest and lightest design yet. It has a 10MP PureView camera on the back with Zeiss optics and the company's thinnest OIS module yet, which enables the thin frame of the phone. The Lumia 830 is made out of an aluminum frame with glass on the front and polycarbonate back. The phone weighs 150g and is 8.5mm thick. The software of the camera is pretty neat. It has Rich Capture which allows you to expose darker areas of an image and even add an LED flash effect after you've taken an image (the camera reportedly captures two images, one with flash and one without and later allows you to stack a final result). Rich Capture also allows for HDR. 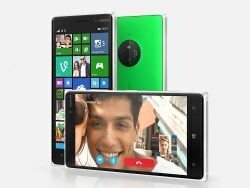 The Lumia 830 offers Wireless Charging, a 2,200mAh battery and a quad-core Snapdragon chipset. The Lumia 830 will cost €330 and arrive this month. I will be getting my first Windows phone this coming Tuesday. I am very excited, and when I saw that this one will be coming out in a few weeks I am even more pumped.